Brian McCallister is the founder and President of The McCallister Law Firm, P.C. Since opening the doors in 1996, Brian has dedicated his professional life to the representation of individuals and families in cases involving catastrophic injury or death resulting from semi tractor-trailer crashes, automobile crashes, dangerous products, slip/trip and fall incidents, medical malpractice and police misconduct. Growing up as a minister’s son and grandson, Brian saw countless examples of his family’s sacrifice for and service to others. His extraordinary devotion to each client and his commitment to finding the clients’ stories and seeking justice for them and their families carry his own family’s tradition of service forward. It is Brian’s belief that the meaningful relationships he has with each and every client is the foundation upon which his representation of them is built. The people who best explain these relationships and commitment to seeking the truth are Brian’s current and former clients, whose videos can be seen in the pages of this website. Take some time to see and hear those clients’ stories and what they say about Brian, his philosophy and his unrelenting pursuit of the truth on behalf of his clients. Brian’s mission to seek out those close relationships gives him the ability to advocate his clients’ causes powerfully, persuasively and passionately. Brian’s core beliefs are that through relationships, trust is built. Through trust, the heart is learned. And through the heart, the truth is revealed. After graduating from the Saint Louis University School of Law in 1988, Brian has practiced law in the Kansas City area. In 1995, he became a graduate of the prestigious Spence Trial Lawyers College® in Dubois, Wyoming, founded by world-renowned trial lawyer Gerry Spence in 1994. Only a small number of trial lawyers attend Spence Trial Lawyers College® each year. And only trial lawyers who represent victims – not the government or corporations – attend. Students attend by invitation only, an invitation extended after hundreds of applications are reviewed by the College’s board members. While at the College, the select number of trial lawyers spend nearly a month learning how to argue and win their cases in the courtroom for their victim clients: the injured, the disadvantaged, the poor, the forgotten and the defenseless. Only at Spence Trial Lawyers College® can trial lawyers hone the craft of being a trial lawyer in the courtroom, a dying breed of lawyer. Only in the courtroom are the disadvantaged and the weak able to play on a level playing field with big government and behemoth corporations and insurance companies. In the courtroom, the victims are given their voice through their trial lawyer, a gift given through earning the trust of their client. Through Spence Trial Lawyers College®, Brian learned how to treasure that gift and return it to his clients in the courtroom. 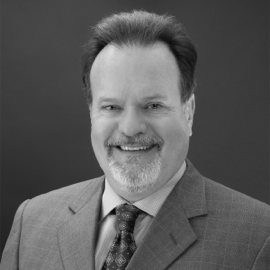 In 1996, Brian was asked to return to Spence Trial Lawyers College® as part of the staff. The gifts he was given there are immeasurable and he hopes to pay those gifts forward to countless lawyers and clients in the future. In the 1990’s, Brian was selected by his peers to serve on the Board of Governors of the Missouri Association of Trial Attorneys (MATA), Missouri’s premier plaintiffs’ rights bar organization, whose mission is to preserve the peoples’ right to jury trial, a constitutional right preserved in the 7th Amendment to the United States Constitution and in the Missouri Constitution. One of Brian’s proudest moments is when the MATA board and 1600+ members elected him President Elect for 2014-2015 and President for 2015-2016. Since 2004, Brian has been selected each and every year by his peers in the legal profession as a recipient of the Kansas City Business Journal’s “Best of the Bar” award, an accolade shared with less than 5% of the lawyers in the Kansas City metropolitan area. Brian is a member of the American Association for Justice (AAJ), the National Association of Criminal Defense Lawyers (NACDL), Iowa Association of Trial Attorneys (IATA), and the Kansas City Metropolitan Bar Association. He is a member of a local Christian Church (Disciples of Christ) and is a member of the choir. Brian owns a farm in Iowa and is a passionate white-tailed deer (Odocoileus virginianus) conservationist and hunter, practicing the methods and habitat creation and preservation criteria promoted by the Quality Deer Management Association, an organization dedicated to ensuring the future of white-tailed deer and wildlife habitat. Brian is licensed to practice law in Missouri, Kansas, Illinois and Iowa. Saint Louis University School of Law, St. Louis, Missouri, 1988, J.D. Central Methodist College, Fayette, Missouri, 1983 B.S.